Pilot Steven Judd, who will oversee the operation of Wiltshire Air Ambulance’s pioneering new helicopter, says he is joining at an exciting time in the charity’s history. The charity’s new helicopter is the first Bell 429 to operate as an air ambulance in the UK. It leases the helicopter from Heli Charter and Steven has been appointed as Group Chief Pilot. As well as an operational pilot on Wiltshire Air Ambulance (WAA), Steven will be responsible for all Heli Charter operations including WAA. He completed his training on a Bell 429 at Bell’s facility in Fort Worth, Texas, and started flying the air ambulance last week. Steven said: “Wiltshire Air Ambulance is particularly well supported by people across the county. It has got a good fundraising base and it’s an exciting opportunity to be a pilot operating a new aircraft and to provide the best possible care to patients. It’s great that the charity has made the leap to use the Bell 429. Steven, 57, has 34 years’ experience as a pilot, including 18 years in the Royal Navy and Army Air Corps. 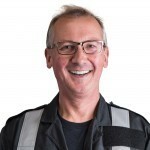 He flew the former shared Wiltshire Police helicopter/Wiltshire Air Ambulance on many occasions and before he joined Heli Charter was a freelance helicopter pilot trainer and examiner. Steven is married with two grown up children and lives at Coombe Bissett near Salisbury. The other pilots flying WAA are George Lawrence, Unit Chief Pilot, and Nicky Smith. A fourth pilot is due to start flying with WAA later this month.